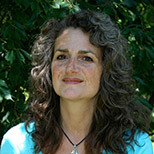 Laurie Mazur is editor of the Island Press Urban Resilience Project, which is supported by the Kresge Foundation and the JPB Foundation. In that role, Laurie focuses on the intersection of climate adaptation, sustainability and social justice. She is the author/editor of three books; her writing has appeared in The New York Times, The Nation, The Los Angeles Times, The Guardian and many other publications. Laurie lives just outside Washington, DC with her husband and teenage sons.